Warm weather is never a constant, even in summer. Fog rolls in, a sudden thunderstorm blocks the sun, and changes in elevation and levels of exposure can cause temperatures to suddenly shift. My favourite layering system for a number of years has been a light fleece/baselayer with an Arc’teryx Squamish Hoody as a windshell. This has proved to be an extrememly versatile summer system for all my personal mountain activities (when personally climbing I’m having to keep up with Kev and Rich, which is no mean feat! When I’m working I’m often moving much slower with clients so ned to be warmer). When approaching I would layer up with the two items above and then put another layer on top for climbing (such as a lightweight hardshell) if I needed it. 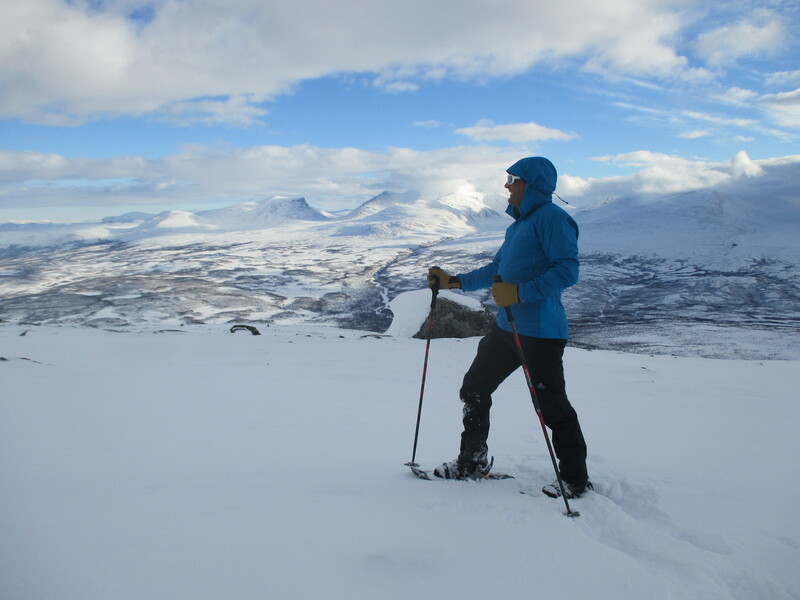 On top of that I usually keep an insulating layer such as my trusty Arc’teryx Nuclei for when I need to stop (to admire the view, have a bite to eat or gearing up). This system has served me well for number of years but the new Arc’teryx Atom SL will supercede it as I no longer need the two separate items and can just make do with just this and a hardshell for all but the coldest of summer days (which is often in the UK!). 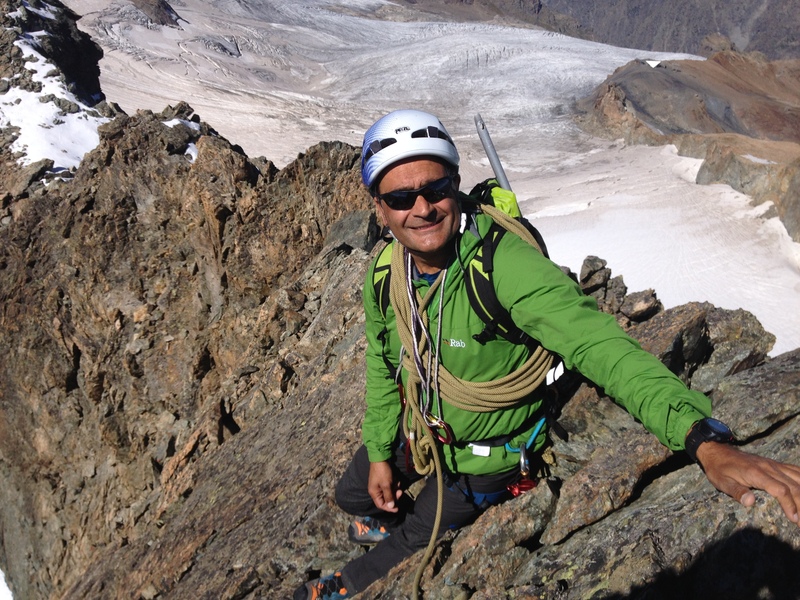 The Arcteryx Atom SL is a great midlayer insulation piece that does away with a fleece. My first encounter with the Atom series of jackets was way back when I used to review for UK Climbing in 2010 when I decried that the fleece was dead. OK so like all predictions that hasn’t quite rang true and there is still plenty of fleeces available out there but the lightweight insulated layer is here to stay and is a very worthwhile investment. The Arc’teryx Atom SL (the SL stands for Super Light) really is a superlight jacket, the trusty CGR scales weighed it in at a measly 265g. With the Squamish and my Rab Basleline weighing in at 525g I’m making a good saving. The insulation is provided by the now established Coreloft. I’ve always found it to be warm and compressible but if I’m honest it’s not something I ponder too much about. The 40gm² Coreloft is situalted around the front and back of the Atom SL to provide core warmth when needed. The square baffling keeps the insulation from dropping down the jacket and the warmth it has provided has been great throughout the test period (mostly winter). 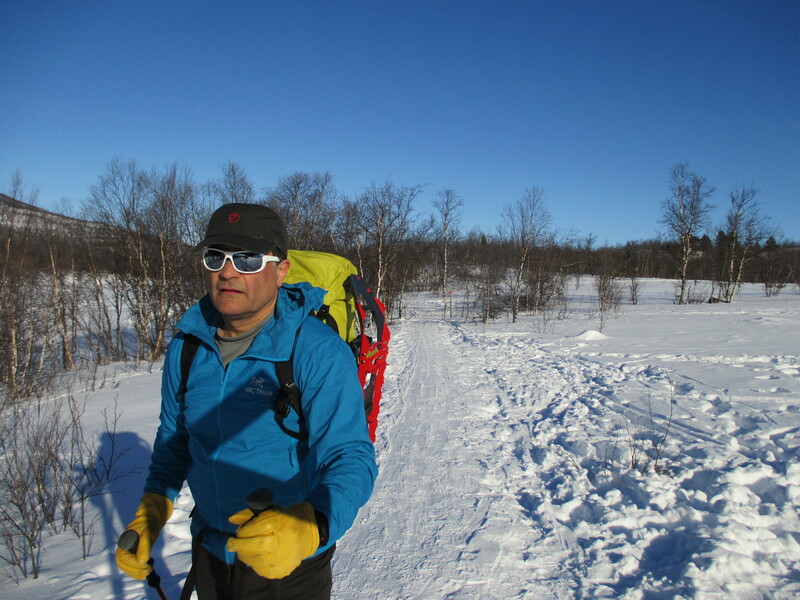 The Coreloft is highly compressible but the jacket rarely see my pack as I have it on and it usually stays on all day. 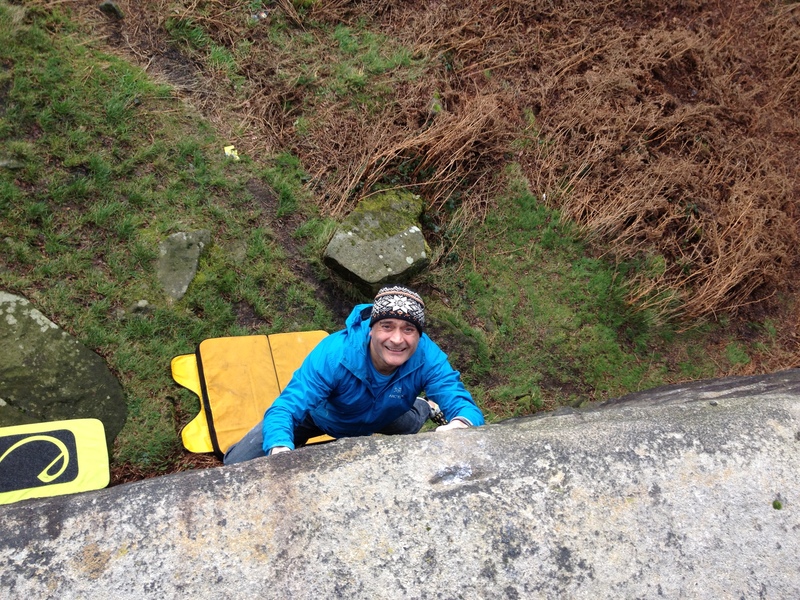 The Arcteryx Atom SL – once it’s on it stays on! 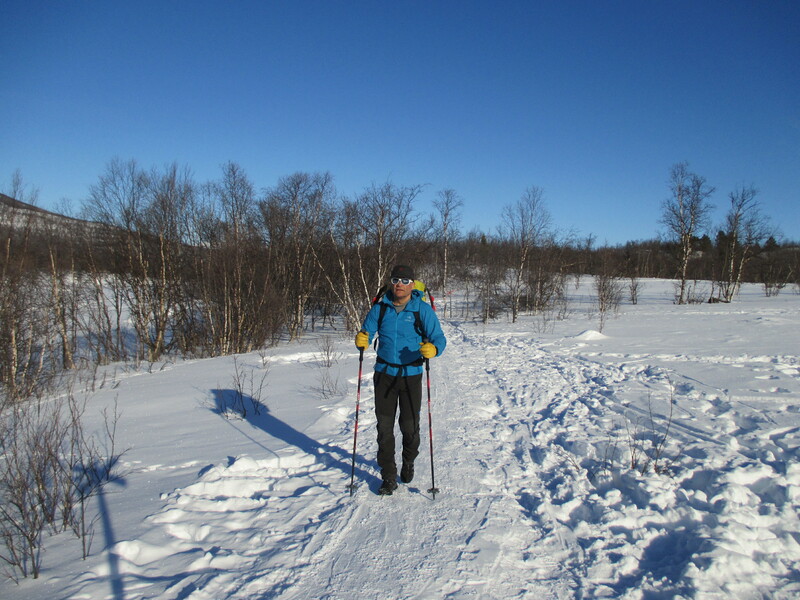 For more active activities (I’ve used it for running, mountaineering, snowshoeing and XC Skiing) moisture management is via the Torrent fleece strip under the arms and down the side of the jacket. This system has proved itself since the Atom LT first came out and works well. The Atom SL might not breath as well as a fully Powerstretch fleece, but it is perfectly OK and much easier to wear in that it feels less cloying on the torso than a tightly grabbing fleece. The sleeves had a mesh lining that also provided some warmth as well as moisture management on top of that the mesh lining kept the jacket comfortable when worn next to skin (when wearing a tshirt). Arc’teryx state the Atom SL Hoody is a Trim Fit, I found the Atom SL a great fit. My usual test size is a Medium and I would say I’m a 39-40” chest and 32” waist, the jacket fitted well over a base layer and t-shirt. I generally wore it as either an outer layer on its own (sometimes with a vest over the top) and often as a midlayer on cold days. The fit was perfect – the Tyono outer material made puuting outer layers on a breeze, none of that awkward trying to get the sleeves to fit properly when catching on a fleece (even a hardface one). The YKK zip was great as you can just pull it apart to open the jacket up. The zip on the Atom SL was easy to use – you just pull it apart to open the jacket up. The Tyono material has a DWR but I wouldn’t even think of substituting it for a hard or soft shell. It was OK when caught out in a shower but in anything other than a very light shower it wet through straight away. It did, however, dry out very quickly on the body as long as I kept moving it dried out with my body heat. The hem tighten using a right handed cinch, the hood also adjusted with a one handed cinch on the back of the head. The unlined hood fitted over a helmet, which is a great feature of the Squamish, and I was really pleased the designers had thought of this. For most activities, however, I kept the hood cinched and just popped over my head when I felt I needed a little more warmth. I felt the peak of the hood could have been a little stiffer as it had a tendency to fold in on itself and sometimes I had to fumble with it to get the peak fully out. Other than that (very minor niggle) top marks for a great hood. The hood was great when the wind got up. It fits over a helmet too, which is very handy. There were a couple of questions I asked the Arc’teryx designers about the Atom SL – I asked why the sleeve hems were not elasticated? I felt the sleeves were a little too long (I wear them folded up at the hem to help fit, but I do have a notoriously short arm span!) and I feel they would have been better elasticated with a thumb loop. They replied that the sleeves were designed so that they could be pulled up to aid heat management and for climbing. It must be my Popeye forearms but I couldn’t get the sleeves above my forearms. My other question was about the pockets – the Atom SL comes with two, well placed, handwarmer pockets that are accessible with a harness on. I asked why there wasn’t just one large chest pocket instead. They replied that the jacket was so light that they felt items in a chest pocket would make the jacket sag. My thinking is OK, I can see that but the chest pocket in the Squamish works OK for what I need it for – usually for a food bar or camera. In conclusion, the Arc’teryx Atom SL Hoody is a five star jacket. It’s very versatile and would be a perfect replacement for a fleece. I’ve used for hiking, running, XC Skiing, snow shoeing and climbing. The price tag does reflect the high end piece but I feel it is worth the money as you will get so much use out of. There are a couple of minor niggles (just because I’m fussy about these things) and it’s not the sort of piece I’m going to use for working as it’s the type of item I’d like to wear when I’m trying to put in a personal best on something. Lightweight and very compressible – perfect for when space is a premium. Warm – as warm as fleece. Sleeves too long (for me anyway) and would be better with an adjustable or elasticated hem.. 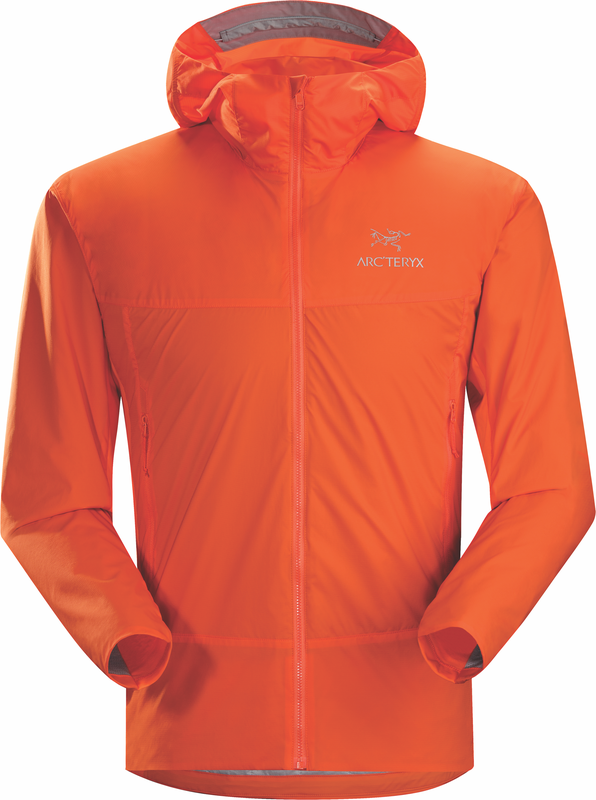 The Arc’teryx Atom SL come is sizes XS-XXL and 5 colour options. There is also a women’s specific version which comes in sizes XS-XL and 4 colour otions. Available from Arc’teryx and other retailers.